Prime Minister Imran Khan, after taking oath, has so far been on six foreign trips despite initially stating that he would not go on any foreign trips for the first three months. Perhaps given the economic dire circumstances, these trips were inevitable. The extent of success of these trips, with respect to obtaining economic aid and attracting investment, is still being debated in the national media. However, another thing which is under discussion is the way prime minister conducted himself on these trips. Like all rulers, Imran has also tried to market Pakistan by pointing towards its large young population, its investment-friendly foreign policies and strategic location. However, what he has been saying about its economic problems, institutions and opposition parties has created a lot of controversies. Subsequently, he reiterated the same thing during the Future Investment Initiative Conference, that Pakistan was in dire states and needed assistance. Further, he also lamented about weak institutions and corruption during the same conference. He also raised the same issue of corruption of the ruling elite during his visit to China. 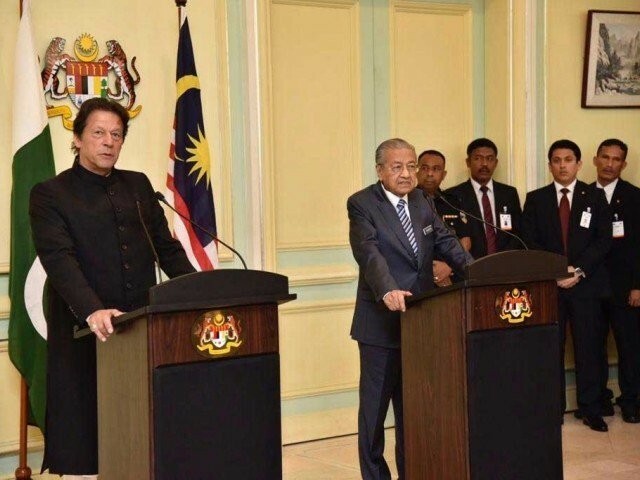 However, perhaps the most controversial speech was in Malaysia in front of the Pakistani diaspora, where Imran accused Pakistani opposition of ganging up against him in order to protect themselves against the anti-corruption crackdown. Should Imran be saying these things? Some of his supporters say that it is better to be candid as the world already knows these things. A counter opinion is that since Imran is now the head of the state and is representing Pakistan, he has to be more careful. I agree with the second point of view as I think Imran needs to show some responsibility when speaking about his country. My contention is that when you are the head of a state, what you say carries much more weight which in turn can have a counter intended effect. For example, as a prime minister, Imran has admitted desperation to get aid and investment. I am not sure that showing desperation and constantly saying that the country is on the verge of collapse is going to even attract aid let alone investment. Regarding aid, signalling desperation merely gives the upper hand to the counter party who can put tough terms and conditions in the provision of aid. After all, there is no such thing as a free lunch. Imran went to Saudi Arabia and openly admitted that Pakistan was desperate for loans. This open admission of desperation – despite the fact that Saudi Arabia itself is facing international backlash and actually needed our support – merely weakened Pakistan’s hand. In the end, although Pakistan received some assistance, the terms – still undisclosed – might require Pakistan to do a lot more than it bargained for. Recently, Pakistan Tehreek-e-Insaf’s (PTI)’s Shehryar Afridi was allegedly in a lot of trouble for merely speaking against Saudi’s lack of due process against ordinary Pakistanis in drug smuggling cases. The minister was correct in pointing out that Pakistanis often accused of drug smuggling were executed without even proper investigation and moreover, the worst kind of human rights abuses were being committed against prisoners in Saudi Arabia. However, it is claimed that he was made to apologise to the Saudi ambassador. Our open admission of desperation has weakened our position even in front of Saudi Arabia, which right now is itself in a very weak position. Further, Imran’s admission of desperation also undermined Pakistan’s desire to attract foreign investment. It is obvious that investors don’t invest in ‘desperate’ countries and if they do, they seek a very high return in line of the high risk they are taking. When the head of the state acknowledges desperation and washes his country’s dirty laundry in front of the world, he is also amplifying the weaknesses and consequently, it is no surprise that investment becomes even more expensive. In Malaysia also, he lamented about ‘unprecedented debt’, which again puts a question mark on Pakistan’s efforts to market itself as an attractive investment destination. More importantly, constantly mentioning corruption on international trips also has the same deterrent effect on foreign investment. Which investor would want to invest in a country whose head of state is constantly drawing attention to the country’s corruption? Another fact, which Imran and his government are perhaps unaware of or deliberately hide, is that although Pakistan is still considered a corrupt country, over the years its corruption level has steadily declined. In fact, according to Transparency International, controlling corruption is one area where Pakistan has shown progress. Instead of highlighting this improvement, Imran has been lamenting about absurd levels of corruption on his trips the same way he used to do in his electoral campaign. Secondly, Imran’s constant attack on past governments and accusing them of corruption is also problematic. What he said in Malaysia in particularly was erratic and even irresponsible. What Imran perhaps forgets is that more than half of his party is comprised of individuals from Pakistan Muslim League-Nawaz (PML-N) and Pakistan Peoples Party (PPP). Saying that opposition is corrupt also undermines his party. Furthermore, as pointed out rightly by Bilawal Bhutto Zardari, it points towards insecurity on his part. It merely shows that since he is not able to deliver on his promises, he is trying to deflect opposition’s criticism by accusing them of corruption, not only in Pakistan but also on foreign trips. Foreign trips are not appropriate venues to discuss domestic politics. This becomes even more regrettable when compared to PML-N and PPP’s leadership’s behaviour during their trips. In 2017, right in the middle of the Panama scandal, Nawaz Sharif went to Hong Kong to market Pakistan. While he lauded his government’s performance, he avoided attacking the opposition, which at that time was causing a lot of problems for him. Before that also, at every international forum, he avoided attacking the opposition and merely tried to present a positive image of Pakistan. Before him, the PPP leadership also invited foreign investment on several forums without resorting to attacks on opposition, lamenting about corruption and ‘weak’ institutions or accusing the opposition. Prime minister needs to understand that he is now in the government and should come out of his ‘opposition mode’. The buck stops with him now; he cannot keep on blaming former governments for everything and particularly at every stage. Time has come for him to start acting like a statesman. So Imran Khan should lie, deceive, misstate facts and be untruthful? And not expose the misdeeds of the previous govts. that has put Pakland in such a precarious position!?! bankruptcy. The only Nuclear Armed Muslim Country. Near penniless. With looted $200 billions sitting in off shore accounts. Not a day goes by with new scandals of corruption of the past rulers. Papua/New Guinea knows the financial dire straits of the Land of the Pure. So why lie? On this one I have to agree with you Imran Khan should have adopted Zardari or Nawaz as his role model or at least followed Mr. Dar’s policies……after all the results after ten years are ” fantastic ” …..and our country’s coffers are overflowing and there is progress all around and due to their policies our credibility to borrow from the international agencies is rock solid. You started being right, then halfway you became totally wrong. Typical Pak mentality and maneuvering in spades. See, nothing beats being an honest, truthful and good Muslim. Or a Christian, or a Hindu. Zia was an aberration, something you will wish on your enemies. Nothing more. He would have sold his mother down the street to stay in power. who was willing to invest before IK came into power ? I understand the hurt of PTI supporters. This argument that one has to be candid and investors are not stupid does not work. Because when a head of the state is saying we are desperate, he is also signalling his incapacity to rectify the situation. Moreover, a head of the state is privy to the actual situation and showing desperation openly is NOT going to solve problems. No other PM has done this. You can keep on spinning Imran’s every blunder but this is not how you market your country. can you take the trouble of actually reading the blog? Then tell me where I went wrong? I understand the hurt, as “change” is proving to be a complete farce.. Your sarcasm too has a touch of class just like every other comment you make. 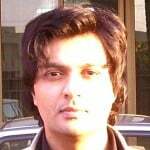 Having said that, every blog does not have to be a comparative assessment of Imran with Nawaz and Zardari. Imran is now the PM of Pakistan and his actions/inactions can be viewed independently. If Dar is being tried by NAB, he should not get a clean chit for corruption because Zardari was more corrupt. His accountability should stand on its own. Similarly, accountability of Imran Khan should stand on its own. It is obvious that the Pakistani people were not satisfied with the earlier rulers and hence they were not re-elected. Agree….but my issue is with the persistent tone of the writer who displays, what I can only call immaturity when he constantly paints a picture that exudes simple bias …… and by doing so he does himself a disservice. No one is denying that Imran Khan and his set up are making mistakes. them, to one target audience while mentioning some dire facts to another, reduces the credibility. No. Imran should tell the world that Pakistan is going to collapse because of ‘oh so much corruption of previous government’ so that they don’t give him anything. I did reply to your comment ….. but there are times when ET or the net just swallows it up. When you have 20 minutes to impress investors, you can and should be selective in what you will share in those 20 minutes. If you focus your available time to speak on issues that maybe of interest to investors for example areas where investment is sought, where there is large unsatisfied demand in Pakistan, any tax cuts or other schemes that maybe of advantage to investors. I do not think that global investors are babes in woods who are unaware of widespread corruption everywhere and particularly in developing countries. If you talk about being upfront, did he talk about religious extremism, infrastructure gaps, BLA and PTM etc. ? No he did not and not speaking about those things does not reduce the credibility of what he says as long as what he said was 100% true, he would retain his credibility. Immaturity is name calling…If you want to criticize me then deconstruct what I have written..rather than indulging in immaturity yourself. I stand by my comment ….your ability to write on many topics is appreciated. Its your lack of balance when it comes to writing on the PTI that is what I am pointing out. You yourself have said ” ….I have my reasons for ATTACKING it… ” and that spoils your rational thought process leading to your write ups on PTI appearing biased.